Depart Melbourne early morning and travel to the south-west via Geelong, the state's second largest city. Not long past Geelong the ocean comes into view before passing through the surfing townships of Anglesea and Aireys Inlet. Continue onto Lorne where the dual mix of the ocean and the Otway Ranges is breathtaking. 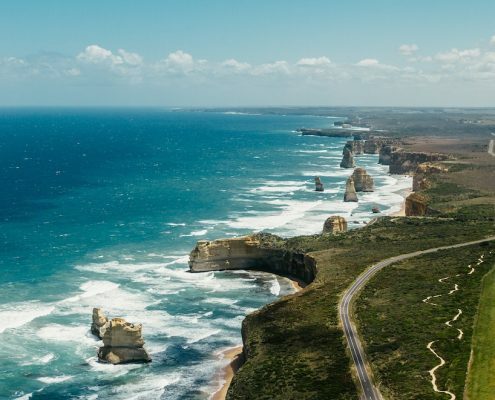 Follow the coast road through to Apollo Bay and Kennett River before heading inland through rainforest and then emerging on to the Shipwreck Coast. 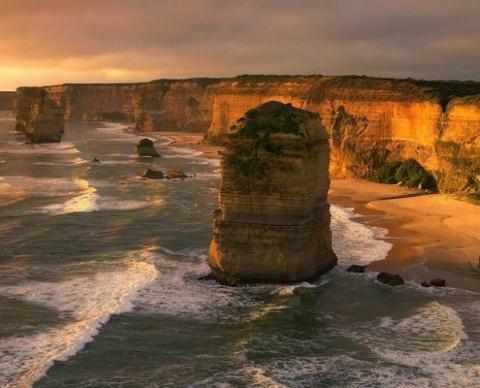 The afternoon would feature the coastal rock formations of Loch Ard Gorge, 12 Apostles and The Arch before arriving in Port Campbell. After breakfast travel across to Tower Hill, an extinct volcano and now a State Park. A walk through the park reveals koalas in generous numbers in the gum trees. Late morning continue through to Dunkeld where lunch will be enjoyed at the stylish Royal Mail Hotel. Following lunch, a visit would be made to Crombie Homestead where an insight into life on the land would be provided by the owners. Late afternoon transfer through to Halls Gap, the major town at the heart of the breathtaking Grampians mountain range. 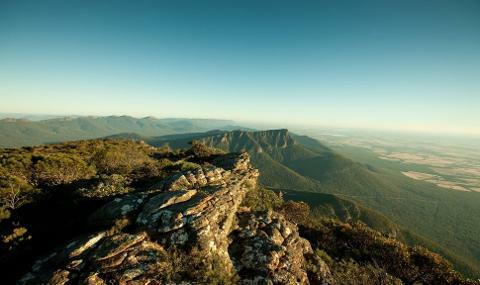 Depart Halls Gap and travel through the Grampians taking in some of the most spectacular scenery the state has to offer. Included in these are The Balconies, Mt Difficult Lookout and The Jaws of Death before transferring through to Ballarat and Sovereign Hill. Sovereign Hill is a recreation of Ballarat's first ten years following the discovery of gold there in 1851. Late afternoon return to Melbourne. $1090 pp, based on a minimum of 6 people (twin/double share) or $1265 pp, based on a minimum of 6 people (single share). Transport, two nights accommodation, meals as indicated (B-breakfast, L-lunch), farm visit at Crombie Homestead, visits to Melba Gully, Port Campbell National Park, Tower Hill and Grampians, entry fees to Sovereign Hill, guide, gst.